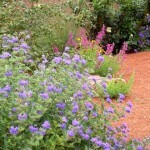 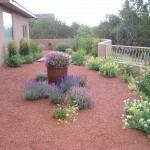 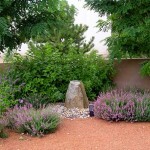 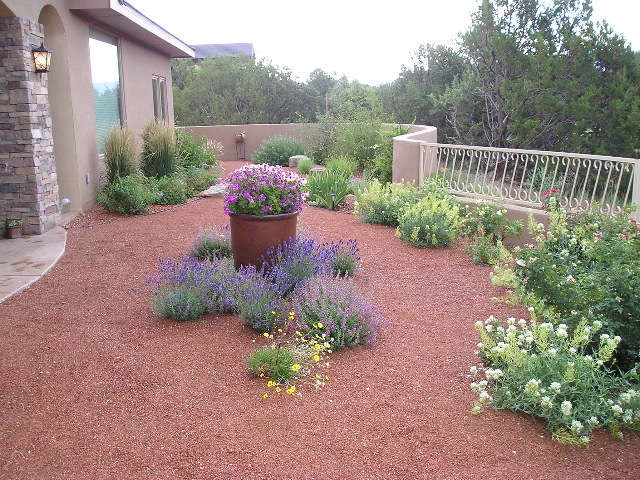 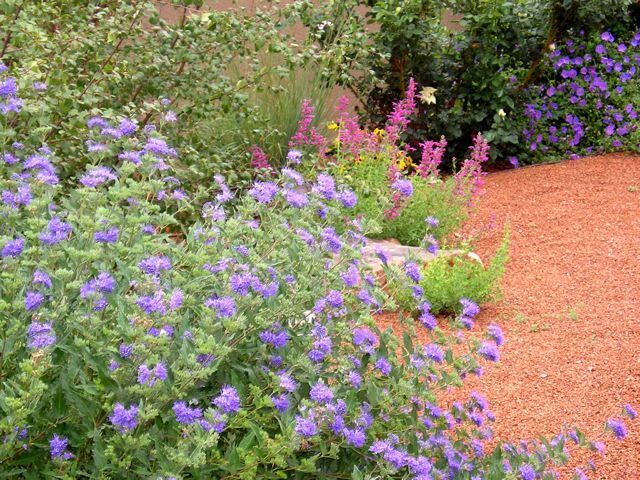 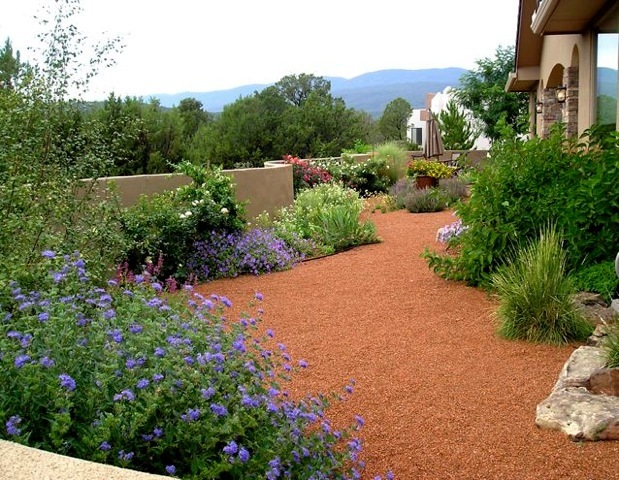 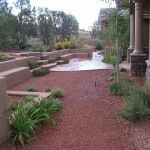 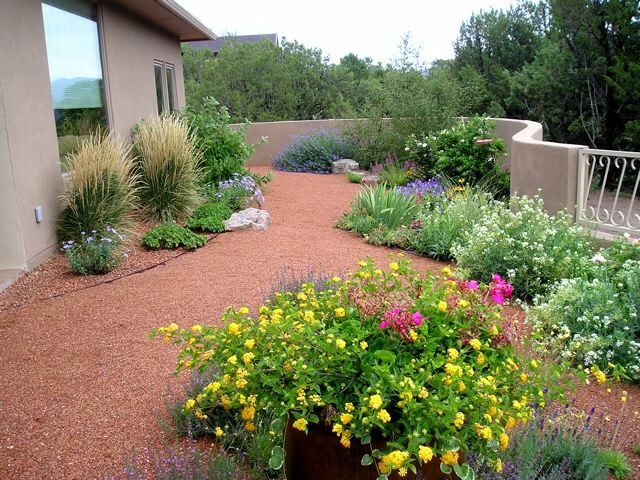 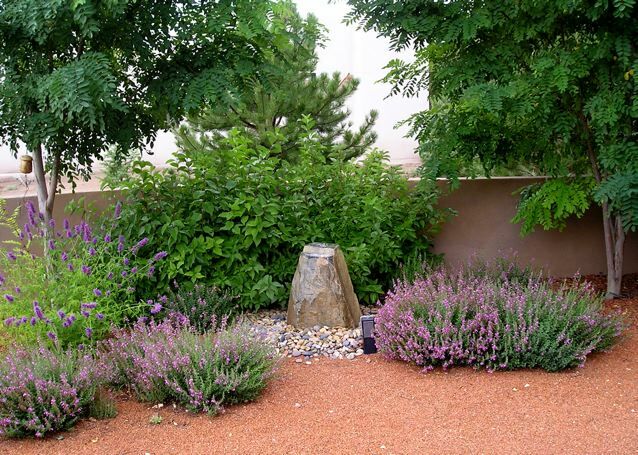 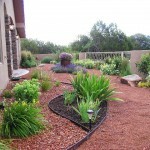 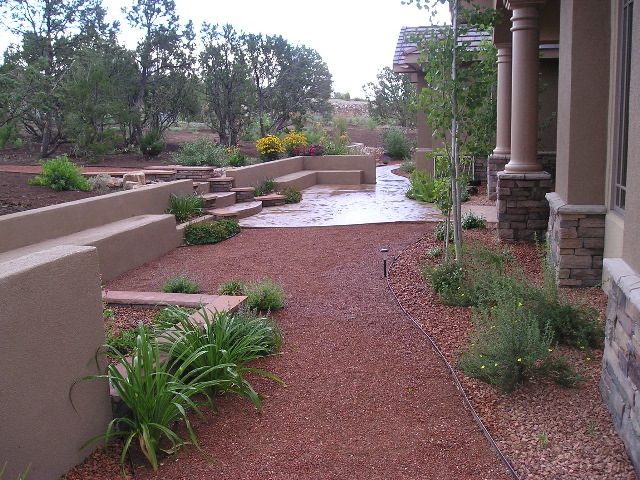 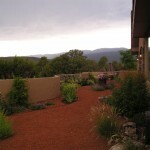 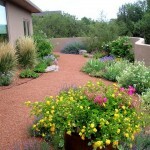 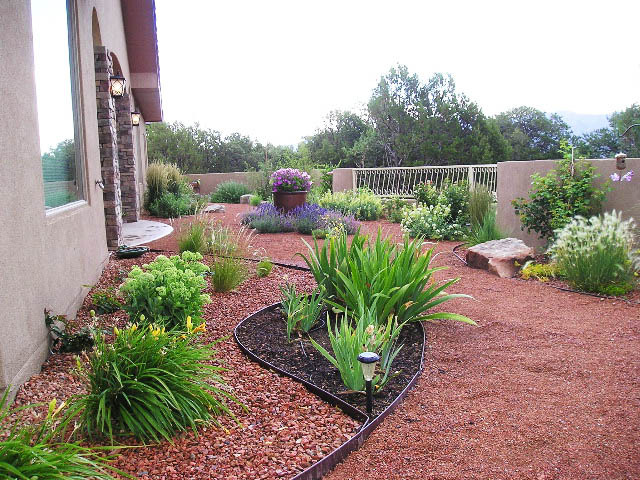 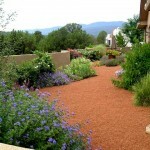 New to New Mexico, these homeowners wanted to retain as many of the existing trees and natural vegetation as possible while having a more cultivated garden close to the house. 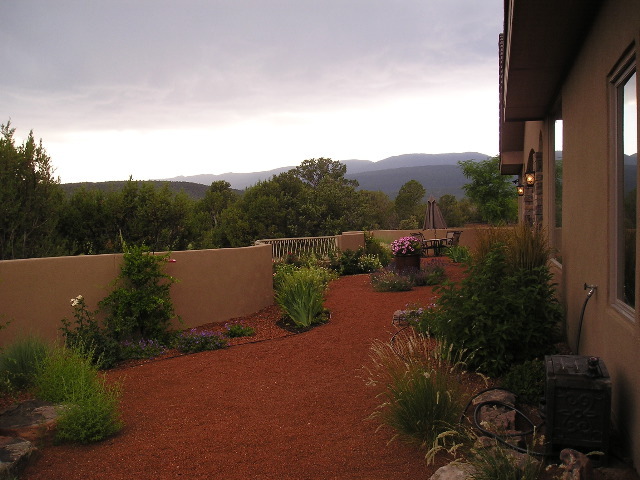 The front of the house is situated considerably lower than the existing terrain, which created a great opportunity for a cozy courtyard. 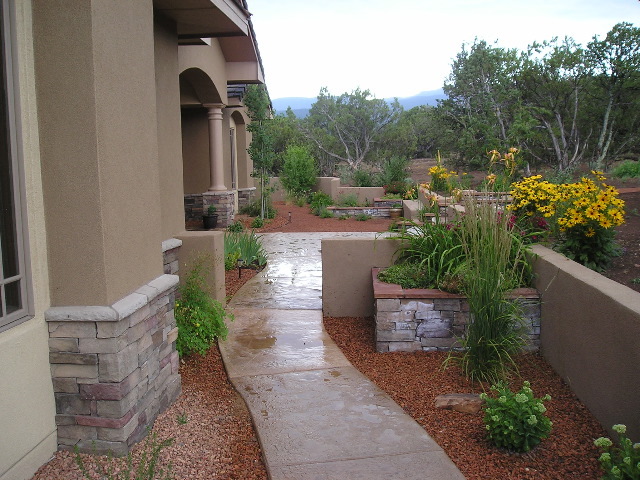 Rather than using just retaining walls to hold the slope, we took advantage of the situation and created banco seating, as well as stone planters that add intimacy and elegance to the small courtyard. 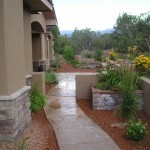 A crusher fine path winds through the front, side and backyard tying the spaces together and allowing for several different seating areas that all have great views of the Sandias.